With the smart city concept expanding its roots and 4G/5G networks highlighting the evolving demands of futuristic urban telecommunication infrastructure, the point-to-point microwave antenna market is set to record to healthy growth in the coming years. P2P wireless microwave bridge links can be tailor made to cater to varying demands of differential applications, which remains a strong attribute pushing adoption of point-to-point microwave antennas across industries. Moreover, as P2P microwave links are transparent and serve as Ethernet extensions, the report projects robust adoption potential for point-to-point microwave antennas in the coming years. A newly published intelligence outlook by Future Market Insights has projected a revenue growth of more than 8% for the global point-to-point microwave antenna market, in 2019. The approximately US$ 3 billion market for point-to-point microwave antennas is predominantly driven by the longstanding applicability of P2P links across multiple industries. As indicated by the report, point-to-point microwave antennas have been a preferred choice of connectivity for a majority of government authorities, corporate entities, and telecom carriers over the years owing to superior capability to deliver high speed in bandwidth-intensive, long distance applications. Based on the range of frequency, point-to-point microwave antenna functional for 10.0 GHz to 29.9 GHz frequency range is anticipated to hold a major revenue share owing to maximum installation preference. Diameter-wise, point-to-point microwave antenna of diameter within the range of 1.0 m to 3.0 m covers over 65% share in the total market value. The report however estimates a higher rate of deployment for the P2P microwave antenna that has a diameter within the range of 0.2 m to 0.9 m - attributed to growing applicability. With an approximate revenue share of 65%, parabolic antenna continues to dominate point-to-point microwave antenna landscape. Holding a whopping 60% share in the total market value, dual polarized point-to-point microwave antenna is likely to represent the most sought after type based on polarization. 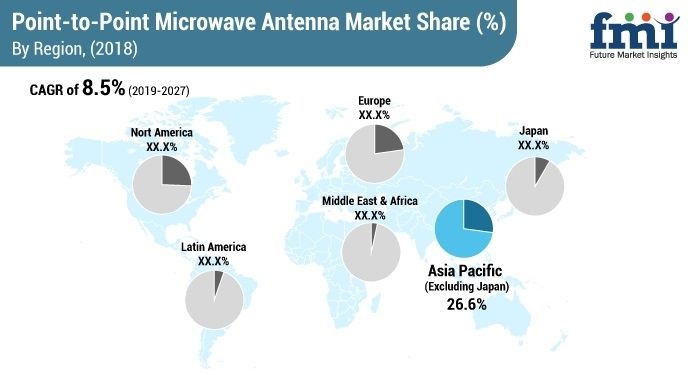 Asia Pacific (excluding Japan), accounting for more than 1/4th market value share at present, is projected to retain the lead over other regions, attributed to strong presence of established manufacturers of point-to-point microwave antenna. Latin American market is also cited as a highly attractive target region for investors in market owing to thriving demand for superior connectivity and favorable initiatives by the regional government. High suitability of point-to-point microwave antennas extends beyond connecting long distance locations, and further cover areas with poor Broadband connectivity and critical utility networks such as pipelines and railways. This has been cited as an important factor sustaining adoption of point-to-point microwave antennas. The Point-to-point wireless or P2P microwave antenna is often perceived to be an excellent alternative for communication when it comes to connecting two or more distant business locations that cannot be connected through a wired network. 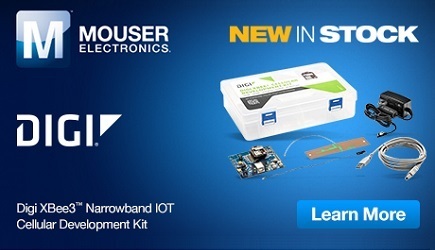 Advantageous over the wired connection, point-to-point wireless antennas offer an Ethernet bridge link with an objective to facilitate high speed connections between two or more buildings situated at a distance of up to 100km. They are also being referred to as a potential substitutes to leased lines and fiber optics, which further points to the improved scope of installation of P2P MW antennas in upcoming years. A thorough analysis of the key companies that are actively operating in the point-to-point microwave antenna landscape reveals their in-depth strategic profiles and recent developments. The report identifies design enhancement as an important strategy adopted by manufacturers of point-to-point microwave antennas, as they invest efforts in innovating existing product portfolio to suit extended ranges of frequency. Several leading companies are also strategizing on restructuring of the distribution channel, in addition to signing contractual deals with multiple regional governments for the large scale installation of point-to-point microwave antenna. Some of the players profiled in the report include Infinite Electronics International, Inc. (radioWaves), CommScope Holding Company, Inc., Radio Frequency Systems, Rosenberger, mWAVE Industries, LLC, and Wireless Excellence Limited.